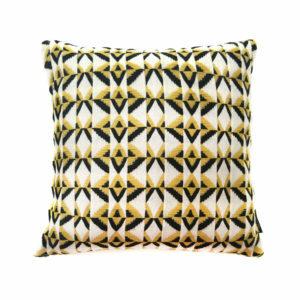 The B R I G I T T E cushion is traditionally handwoven in London and sewn together in Kent. 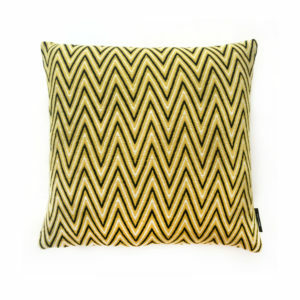 The fabric is made from 100% lambswool and is paired with a luxurious, cotton velvet back. 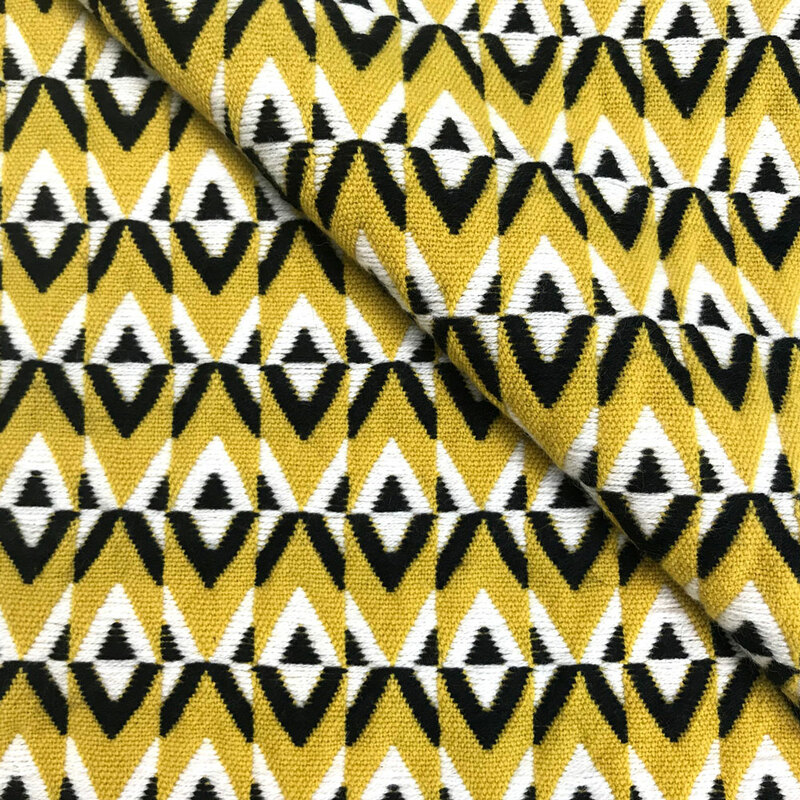 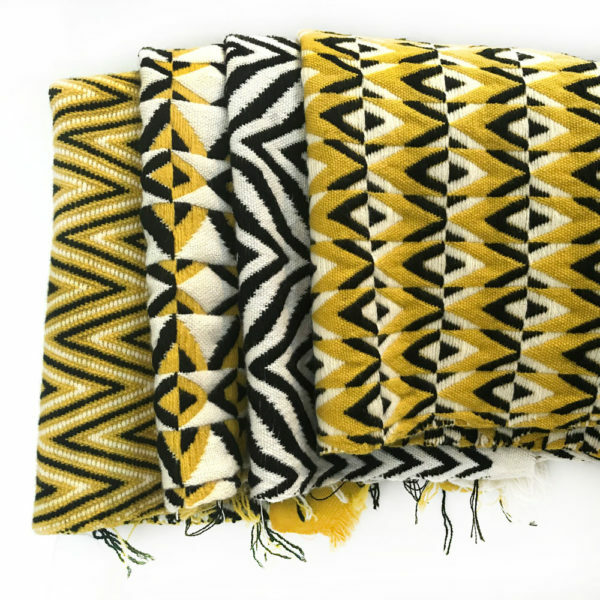 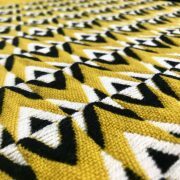 Brigitte is an extra-weft, diamond pattern in ‘piccalilli’, black and white. 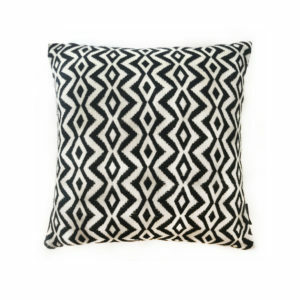 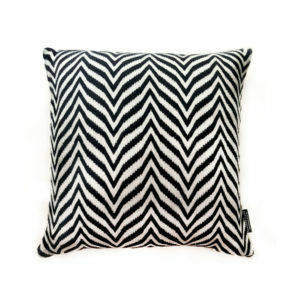 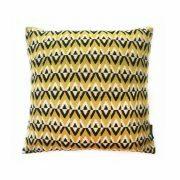 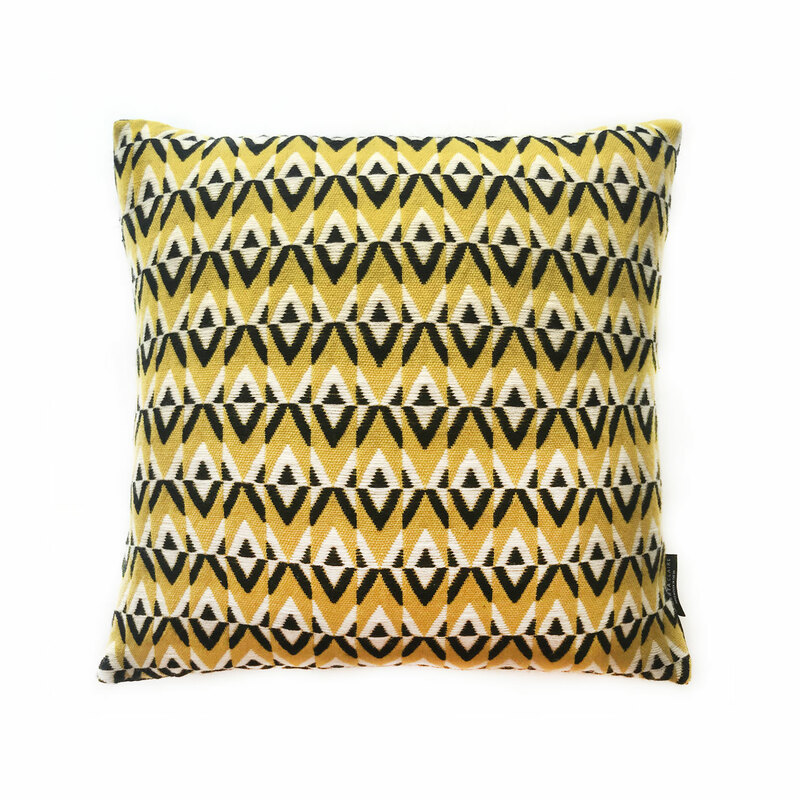 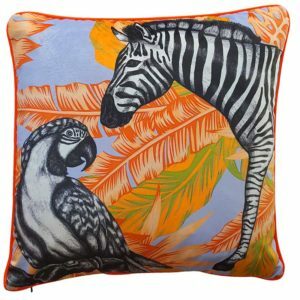 This retro cushion will become the perfect accent to any room. 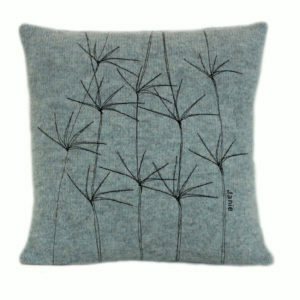 This is a handwoven product, made from 100% lambswool front with a delicate cotton velvet back. Lightly steam the velvet on back if stained, creased or marked. 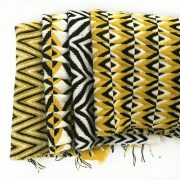 The front will withstand a wet cloth if needed to be wiped, but do not use hot water. 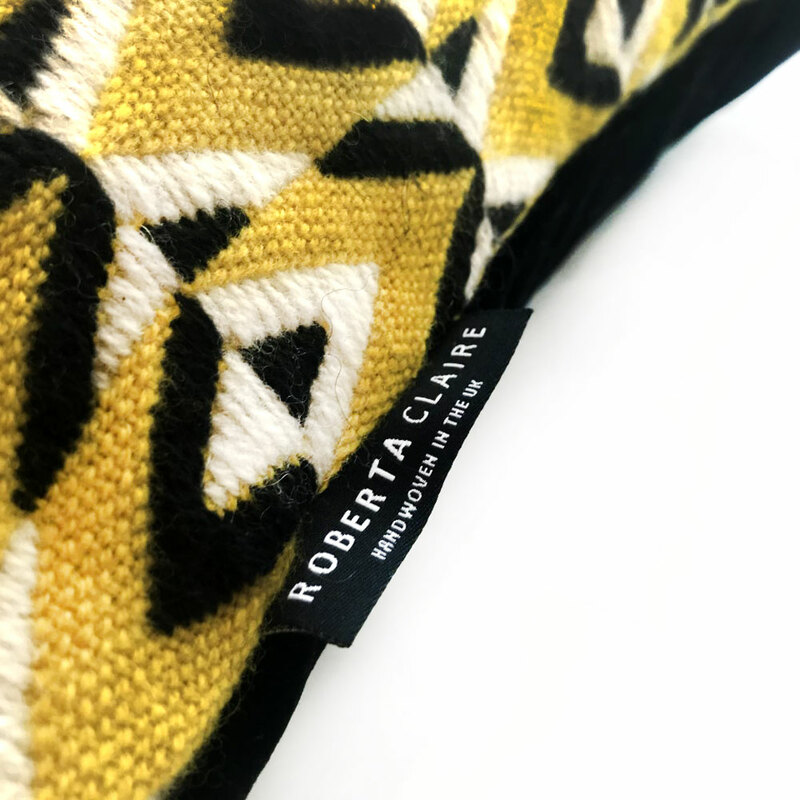 R O B E R T A C L A I R E encapsulates the strong modernist style of the era. 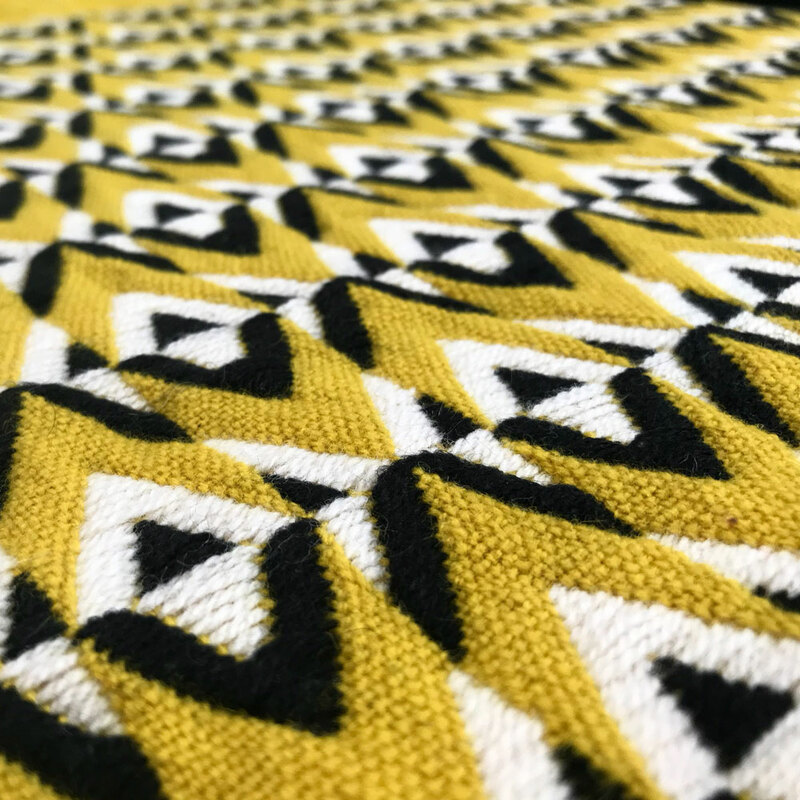 With bold geometric shapes, block colour and zesty retro accents, the collection is inspired by the variety and diversity of the 60s Op Art movement, reflecting the daring and intense use of pattern to create an energetic and unique collection of products.